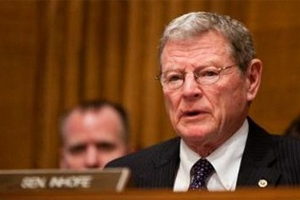 Yesterday, in a Senate Armed Services Committee (SASC) hearing titled “Current and Future Worldwide Threats,” Senator Jim Inhofe, ranking member of SASC, questioned Director of National IntelligenceJames Clapper and Defense Intelligence Agency Director Lt. Gen.Michael Flynn on the proliferationof Al-Qaeda. 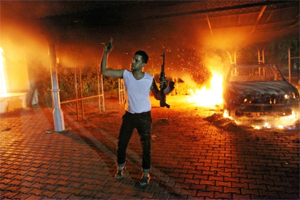 Both of President Obama’s advisers stated on the record that Al-Qaeda is not on the path to defeat, directly contradicting what President Obama has been telling the American people. 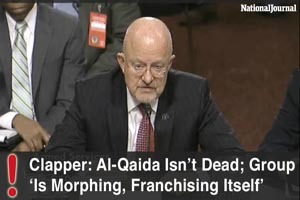 INHOFE: “Yes or no answer from each one of you; is Al-Qaeda on the run and on the path to defeat?” asked Sen. Jim Inhofe, R-Okla.
CLAPPER: “No, it is morphing and franchising itself, not only here but in other areas of the world.” Clapper replied. FLYNN: “They are not.” responded Liet. Flynn. Click here for more in a story with video by the National Journal. This entry was posted in Tulsa Speaks on February 12, 2014 by admin.